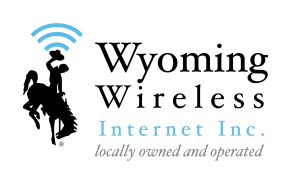 Unmanaged IT Services :: Wyoming Wireless Internet Inc.
Our Unmanaged Information Technology (IT) services are just as simple for the end user as our Managed IT services but are just as diverse. The main difference between the two is that Unmanaged Services are a onetime setup or on as needed basis. We can cater to businesses or individuals, businesses with inhouse IT are welcome to leverage us to provide the services at a reasonable cost while their IT staff is given access to manage the services as they see fit, or to use us to buy hardware or supplement their IT with a large hardware deployment. We are also happy to service individuals that need a computer fixed or may need better WiFi coverage in their home. The possibilities don't stop there, we are able to assist with countless services and tasks for both businesses and individuals. We encourage you to contact us if you have any questions or would like us to assist with your IT needs.